2012 reasons for hosting Servas ExCo in your country! Servas Israel did it, and we conclude this unusual event very positively. The challenge began with an invitation by Haim Murik, Israel Servas secretary in January 2011. "The Board of Servas Israel would be honored if you would accept our invitation to hold your next committee meeting here in our country". In March we got a diplomatic answer from Penny Pattison, ExCo secretary, "We will definitely keep your offer in our discussions!" It kept us optimistic. So we tried again, Claudia Sagi, Israel's new Servas secretary sent a renewed invitation and this time it worked! "Almost one year after my last email, I am writing to you to see if your generous offer to host an EXCO meeting is still available. We are now planning a meeting in mid-March 2012". From January 2012 till the ExCo team arrived in Israel in March, we exchanged about 150 emails, many phone calls, a few draft-plans and several plans for hosting the ExCo face to face work meeting. But as we all know, "every plan is a good base for changing it". They were a team of six, when we began organizing the hosts in Jerusalem, asking our Servas friends to open their doors for more than the usual "two nights". A week later, we had eleven houses ready to host. Later they were only five members, and we also had to make some changes. After another batch of emails, announcing the new developments, we finally believed that it is happening…ExCo is coming to Jerusalem. On the 12th March Penny, Pablo and Pramod landed in Israel and were hosted in the Tel Aviv area, joined by Danielle on the following day. Three of the members were taken on a daytrip to Haifa and the north of the country organized by Servas Israel members. Unfortunately Mirek could not arrive until the Saturday. In the meanwhile the other four members took a daytrip to see the Dead Sea, Massada, Jerico and the surrounding villages, both Israeli and Palestinian. During the eight days and nights of their stay, good Servas winds blew in Jerusalem. Between our hosts and the ExCo team members developed a special relationship: a sharing of cultural exchange, social and ideological views, and naturally differences of opinion. After the team's long days of intensive work, the hosts offered tastes of different aspects of the day to day life in Jerusalem, with each host accompanying their guest to their favorite spot. 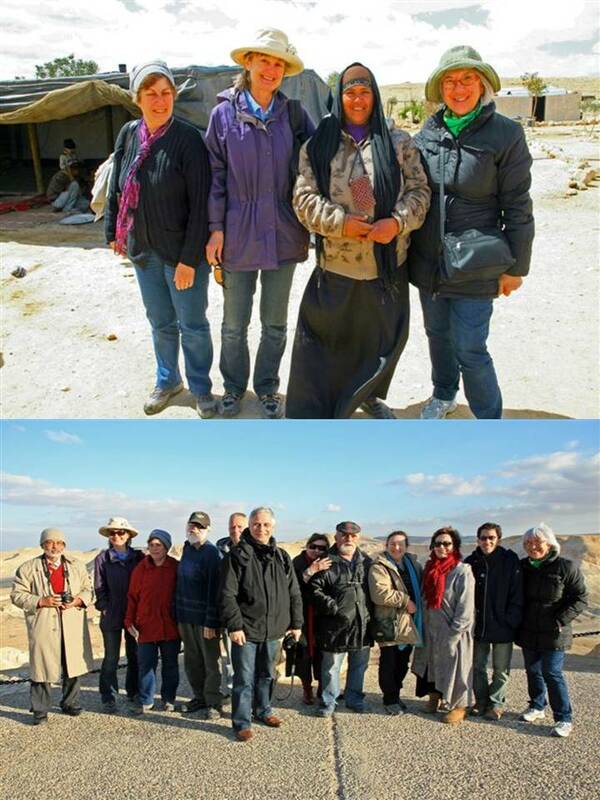 On a daytrip to the Negev, our guests saw Kibbutz life on Sde Boker and had a taste of the Bedouin culture in the desert. At the farewell party, besides the usual refreshments and official 'thanks', there was a feeling of rapport and true sharing between the guests and the hosts. During their short stay the ExCo members had plenty of opportunities to meet and talk with many people and gather impressions of our diverse country. They certainly got a taste of Israel as it is, not only as one hears about it! Israel is a tiny country, which offers a lot of different landscapes and multicultural experiences. Now, when it is all over, and every one of our guests has gone back to his or her country and home, we feel a little hole in our homes. We, Servas Israel hosts, feel that we made new friends from India, France, Poland, Argentina and Canada and look forward to the opportunity of further contact between us.